Pakistan is full of natural places and Lakes. According to my search and suggestions of peoples who have a visit of those beautiful lakes of Pakistan. And I have a short list of most beautiful and you can say awesome lakes. That shows the magic beauty of Pakistan. You will feel a Paradise on earth on these lakes. In Gilgit-Baltistan, near Skardu there is a breathtaking lake named as Sat Para Lake. As it is near Skardu, it supplies the water to Skardu. Sat Para Lake is one of the longest lake of Pakistan and its water is pure. Sat Para Lake is spread over 2.5km2, and 8,650ft above the sea level. In most beautiful Lakes of Pakistan, Lake Saiful muluk also have a top Ranking. It is located in District Mansehra of Khyber pakhtunkhwa, at northern end of Kaghan valley and very near to Narran. It is one of the highest lakes of Pakistan. It is 10,578ft above the sea level. 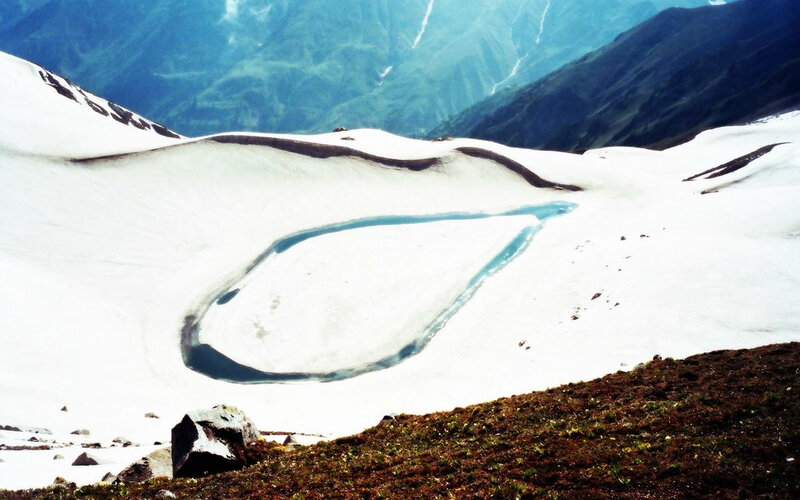 Dodipatsar Lake is located on extreme north of kaghan Valley. This lake is one of the most eye catching lakes of Pakistan. It is right in the middle of covered mountain with snow. You can get access to this lake in summer because you can visit just in four months, from June to September. Rush Lake is the highest lake of Pakistan. Rusk Lake is also one of the highest lakes of the world. If you want to access this lake you have to come from nagar valley and hoper glacier. It provides awesome views of Malubiting, Ultar sar, and spantik. Rati Gali Lake is a glacial Lake where you ever go you will feel a dream that site of rati Gali Lake. Rati Gali Lake is located in Neelum Valley. And it is 12,130 ft. above the sea level. Rati gali lake is that kind of site that you cannot imagine it even in your dreams. This lake is surrounded by glacier water of the mountais. Banjosa Lake is an artificial lake but it gives most beautiful look that attracts the tourists to come here. It is located near rawalacoat, District Bagh, Azad Kashmir. Banjosa Lake is located 6,499 feet above the sea level. Banjosa Lake is green from all around its sides. And this is the secret of his beauty. Karambar Lake is located in between Khyber Pakhtunkhwa and Gilgit Baltitistan. This is the second highest lake of Pakistan and 31 highest lake of the world. Karambar Lake is 55m deep, 4km of length and 2km of width he has. Ansoo lake is 16,000 feet high. Due to its peculiar water drop-like shape it is known as ansoo shape. Because it’s like tear. This beauty of the lake attracts tourists towards himself. Because everybody can feel comfort here. And every year thousands of international tourists come here just for that beauty. Important note is that there is no hotel tourists have to rely on camps. Shangrila lake is also one of the most beautiful lakes of Pakistan. Shangrila lake is located on 20 minutes of the travel. It is the part of shangrila resort famous area for tourism. It is also called the Kachura Lake contains lakes referred to as the upper Kachura Lake and the lower Kachura Lake. One of the most popular and beautiful lakes of Pakistan is lulusar lake. Lulusar lake is famous for Russian Birds that fly there that give some more charm to the lake. Lulusar lake is located near Mansehra. If you are looking for tourist spot for you then you must visit this site. I cannot explain what you will feel here.